Originally posted on the No One Is Illegal (Vancouver) website. 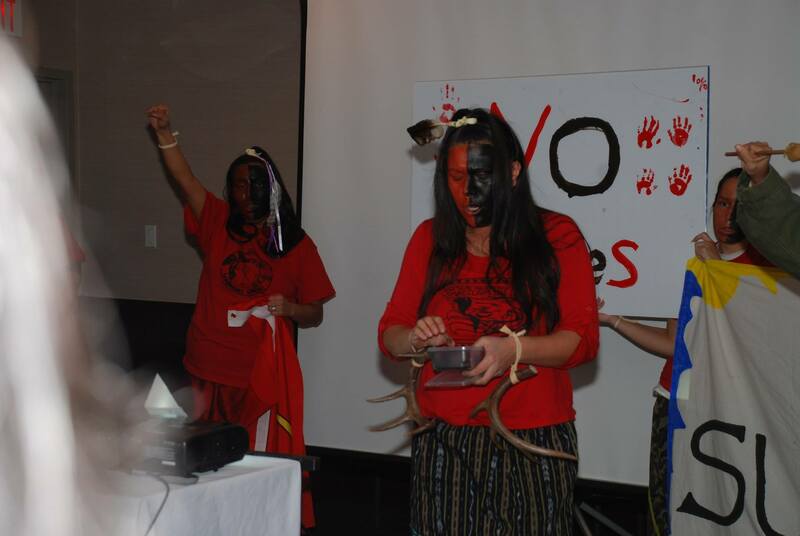 Secwepemc Women Warrior Society said a resounding No! to the Kinder Morgan pipeline today at an illegal engagement session between government and elected chief and council in Kamloops. 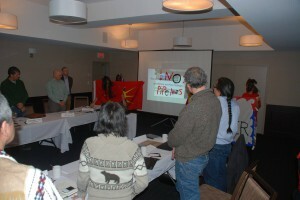 The session was to push forward the federal government’s recent Eyford report on West Coast energy infrastructure and supposed “tanker safety”. 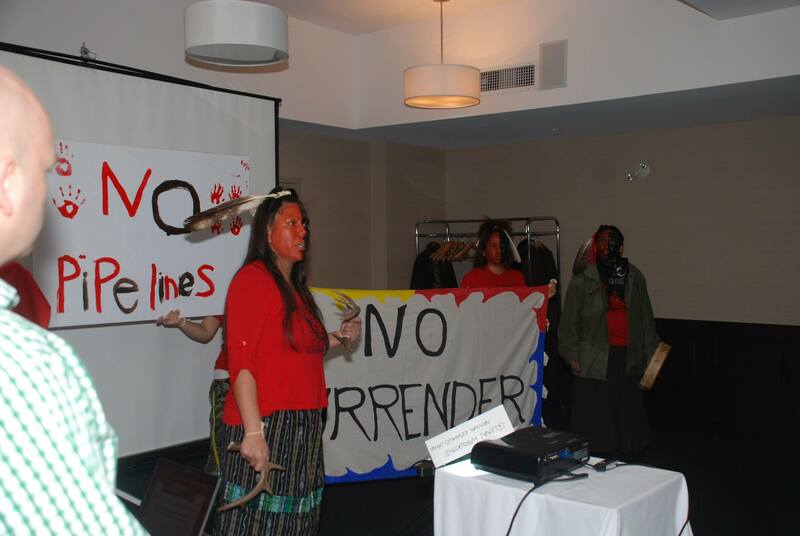 The women’s opposition is to the Kinder Morgan Trans Mountain pipeline proposing to cut through the heart of Secwepemc Nation, crossing countless clean rivers, creeks and streams, carrying 890,000 barrels of crude oil per day, coming from the controversial Alberta Tar Sands.